This article was first published by NursingSchools.net courtesy of Ken Martin. Everyone knows that smoking is one of the most unhealthy things you can do to yourself, but still, many people continue to smoke because they simply can’t quit. If you’re struggling to quit smoking, you may be ready to do some crazy things to kick the habit, and we’ve got just the thing for you. These are 50 creative and crazy ways to finally put out the smoke monster. Here are several healthy things you can do to stop smoking. Have a heart attack: A smoking-induced heart attack might be just the ticket to finally scare you into quitting. Get your teeth cleaned: Invest in a good cleaning so that you’ll be sorry to mess up your pearly whites with smoke. Eat booster foods: Garlic and ginger are good for pulling smoking chemicals out of your body. Brush your teeth when you want to smoke: Any time you have a craving, just brush your teeth or swish with mouthwash to enjoy a clean feeling instead of smoke. Become pregnant: Once you are carrying an unborn child who depends on you for its health, you will feel too guilty to light up. Take up mountain biking: There’s no way you can bike up a mountain as a smoker! These ideas may provide you with the support you need to kick the habit. Start a Facebook group: John Mellencamp’s son started a Facebook group, and if it attracts enough people, his father will kick the habit. Make it a family affair: Ask other smokers in your family to join you in quitting. Make a bet: Bet one of your smoking friends that if one of you quits for a month, the other has to buy a steak dinner. Pay a fine: Agree to quit smoking or pay a fine to a friend. Wear a sign: Wear a sign that asks people not to sell or give you any cigarettes. Start a blog: Be accountable by telling your quitting story. Announce you’re quitting on social media: Tell your friends and family of your plans to quit so that they can support-and pester you-about it. Here are some ways to get help with your goal to quit smoking. Laser: These lasers are said to produce a reaction like nicotine. Acupuncture: Acupuncture may be able to help you quit. Quitter: Use Quitter’s service to track how many cigarettes you smoke each day. Keep a journal: Each time you get a craving, write about it in your journal to identify your craving triggers. These situations will make it difficult to smoke and easier to quit. Clean your house: Clean your house and make smoking off limits so you’ll be forced to smoke outside. Get hired where you can’t smoke: Some workplaces have a strict no-smoking policy, so get hired and quit or get fired. Go camping: Explore the great outdoors for a few days with your cigarettes purposefully left at home. Hang out where smoking isn’t allowed: Go to churches, theaters, libraries, and museums. 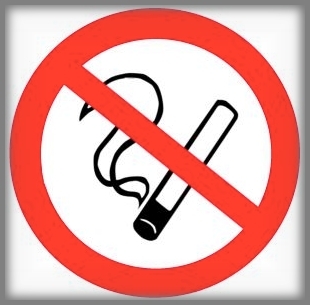 Use these methods to run interference against smoking. Sleep when your cravings are the worst: During bad withdrawl hours, just take a nap. Chew Milkbones: One woman killed cravings by chewing on Milkbone dog biscuits. Do something physically engaging: Bike, run or do something else you wouldn’t think to smoke while you’re doing it. Play games instead: Instead of taking a cigarette break at work, play Solitaire. Light something else: If you have to light up, do it to a candle or incense. Take up a new hobby: Combat boredom or loneliness with something you can be passionate about. Go nuts: Eat a few nuts in their shell when you want to smoke to occupy your hands and mouth. Play the lottery: Instead of spending money on cigarettes, allow yourself to play the occasional lottery ticket without guilt. Be more comfortable: If you smoke to feel more comfortable socially, try counseling, public speaking classes, or a makeover. These ideas will help get smoking out of your head. Bury your cigarettes: Wrap your packs in a plastic bag and bury it in the backyard so you’ll have to dig them up each time you want a smoke. Use creative visualization: Imagine cigarettes wearing boxing gloves and beating you up-and you should punch back. Get hypnotized: Hypnosis can work for some smokers. Stay motivated to quit smoking with these ideas. Visit lung cancer victims: Go to the hospital and sit down with patients who have smoke-induced lung cancer, and see what they have to say about smoking. Spend the money elsewhere: Take the money you’d normally spend on cigarettes, and treat yourself to something fun instead. Remember other difficult things you’ve conquered: Keep in mind challenges you’ve faced in the past to give yourself confidence. Look at photos of lifelong smokers: Check out photographs of people who never stopped smoking to see how you’ll look if you don’t quit. Plan treats: Along each milestone, have a reward prepared to give yourself in return for making it so far without a smoke. Put your savings in a glass jar: Physically see how much you’re not spending on cigarettes. Learn about smoking facts: Look up dismal facts about the disadvantages of smoking. Imagine your children smoking: Each time you want to smoke, think about what your kids would look like smoking-because it’s likely that they will if they grow up with a smoking parent. Plan a cruise: At the end of a period in which you haven’t smoked, have a reward set up like an Alaskan cruise or visit to an old friend who wants you to quit. Definitely on the crazy end of the spectrum, these methods are gross, maybe even painful, but effective. Drink baking soda: This woman mixed baking soda in water and it killed her desire to smoke. Wear a rubber band: Snap a rubber band against your wrist when you want to smoke to associate it with unpleasantness. Look at smoking disease photos: Check out photos of diseased lungs, mouths, and throats so they’ll be burned into your mind any time you want to smoke. Keep just one: Hang onto a solitary cigarette and light it when you need a smoke, then extinguish it and save it for later. Smell some wet cigarettes: Gather up some butts, put some water on them and sniff the mess to gross yourself out about smoking. Fill a room with smoke: Close off windows and doors, then light a few cigarettes and let them burn to see how gross it is. Be careful to do this with supervision. Check out YouTube: Watch anti-smoking videos of oral cancers, brains, and more. Smoke yourself sick: Chain smoke until you’re just sick of it, crush your pack and don’t look back. Get pregnant to quit smoking? You’re kidding, right? What a stupid idea. I agree that getting pregnant can help quit. The first time I quit it was because I wanted a baby. I didnt smoke again for 2 years. I didnt have a baby though. I hope to have one soon. Thats why I want to quit again.